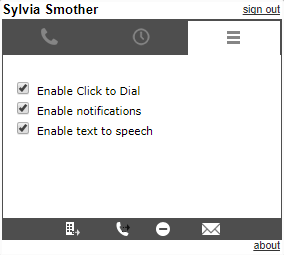 Your BDV service supports a Google Chrome extension which allows you to place Click-to-Dial Calls from an integrated Softphone. You can also control a limited set of features, including Remote Office, Call Forwarding Always, and Do Not Disturb. The following topics will help you with common related questions. How do I download the Dialer for Chrome? How do I use the Chrome Dialer? A. 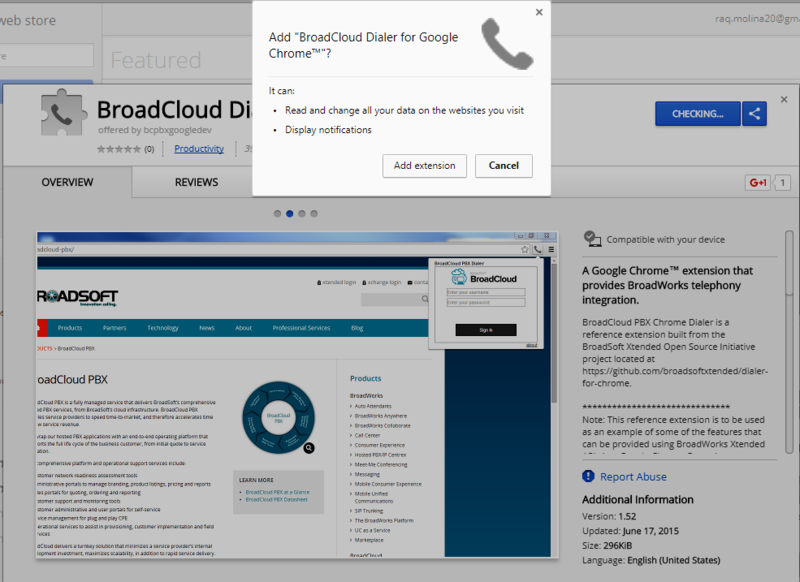 How do I download the Dialer for Chrome? Login to the My Phone Portal. Click the My Features tab. Your User name is shown and your Password is the same one you use to log in to the My Phone Portal. Click Download then run the execution file. Then click Add to Chrome. When prompted to confirm your Extension, click Add Extension. B. How do I use the Chrome Dialer? Click the Handset Icon in your browser. 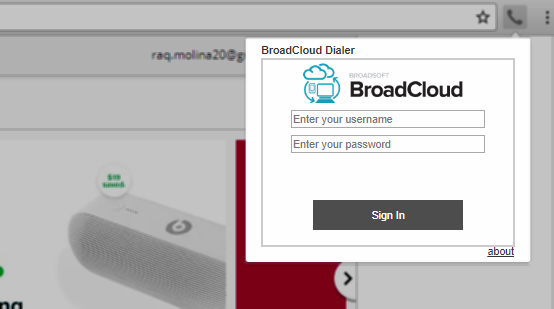 Enter your User Name and Password, then click “Sign In”. You will then need to restart your browser in order to make calls. Click the Handset Icon in your browser window. From the Phone Tab, you can make calls or search for Contacts to call, and you can adjust features and settings, like Remote Office, Call Forwarding Always, and Do Not Disturb. 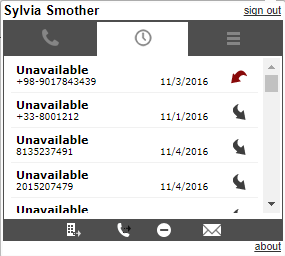 Click the Call History Tab to view your Call History list. Click the Preferences Tab to enable Click-to-Dials Calls, Notifications, and Text-to-Speech capabilities. 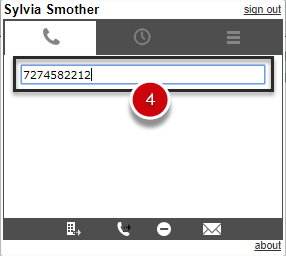 From the lower menu, you can also access your Voicemail Messages and enable or disable other features.